Former George Mason University rower Maureen McAuliffe has been selected to compete with Team USA for the 2017 World Rowing Championships. The competition begins September 24, and continues to October 1 in Sarasota-Bradenton, Florida. McAuliffe, who graduated with the 2011 class, was an All-American selection during her senior year at Mason. The Patriot alum was also selected as a First Team All-CAA member in the spring of 2010. In that same year, she was a member of the U.S. National U23 Pre-Elite Team. She capped off her collegiate career by competing at the U23 World Championships in the Netherlands. The World Rowing Championships are a very prestigious event for the great sport. The inaugural World Rowing Championships were held in Lucerne, Switzerland in 1962. Since, the event has expanded tremendously as now more than 65 countries will be participating come late September. The competing countries vary everywhere from Uzbekistan to Trinidad and Tobago (TTO). In a recent interview with gomason.com, McAuliffe spoke on her future aspirations in her rowing career, as she continues to progress. 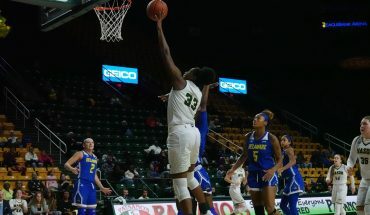 If she does in fact reach her goal of participating in the 2020 Olympics, McAuliffe will join David Verburg, who won a gold medal in track and field back during the Rio Olympics, as Mason alum in very rare company. As for now, McAuliffe sets her sights on Florida. If you are interested in the event, and want to cheer on our fellow Patriot, the 2017 World Rowing Championships will be televised on the NBC Sports Network. NBCSN and the Olympic Channel will provide more than 10 hours of coverage.